Riverdale Tennis Center is a family-owned and operated independent tennis club in Riverdale, NYC. We're a friendly, reliable and professional club -- with no initiation or membership fees of any kind. In short, no hassles or unnecessary expenses. Just GREAT TENNIS on our well-maintained, low-impact outdoor CLAY COURTS! Conveniently located in the peaceful, park-like northwest Bronx neighborhood of Riverdale, just minutes from Manhattan's Upper West Side, you will enjoy fresh air, shade trees and the beautiful Hudson River while taking a tennis lesson or playing a friendly (or competitive!) game. Bring a partner or let us arrange one. You can also enjoy a swim in our pool, reserve your birthday party, or enjoy lunch on one of our outdoor patios. Affordable rates, with no membership fees. Exceptional instruction. USTA & PTR Certified. Group and private tennis lessons available. Junior Program. Ten and Under Tennis Program. 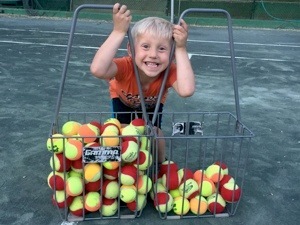 Tennis Summer Camp Program for kids. Open 7 days a week, from April to mid-November. Racket-stringing service & racket re-gripping service. Convenient to Manhattan and Westchester County via the Henry Hudson Parkway. 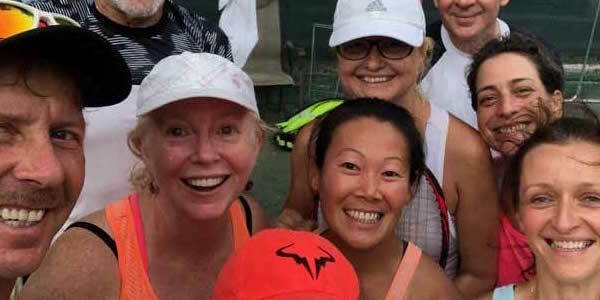 Try us and see why Riverdale Tennis Center has been the tennis lover's oasis in New York City for over 20 years! COACH GILAD BLOOM is a former ATP Tour Pro, ranked as high as 61st in the world in Singles, with 20 years of experience in coaching and running junior tennis academies. COACH DARIUSZ GARKO is a Top Fitness Coach in NYC. Certified by NASM & NSCA, and 20 years of experience, working at the elite, private Manhattan fitness club, "The Printing House" in Greenwich Village, and served as Fitness & Program Director for the premiere facility. Coach Garko's training methods improve his clients lives, performance and coaching others, taking their fitness and tennis to the next level. He incorporates tennis-specific movements and training exercises to increase strength, endurance and flexibility. 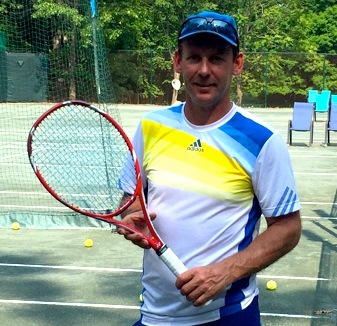 COACH ARTHUR BOBKO, HEAD PRO, is a member of the PTR, USTA and Head Pro at Riverdale Tennis Center since 1992. He has been instructing tennis players of all ages and abilities professionally for over 20 years. Arthur has a degree in Physical Education and was the Head Coach at Manhattan College for five years. He was instrumental in bringing them to their first conference championship and was named "College Coach of the Year" three years in a row! Arthur brings a wealth of experience and energy to Riverdale Tennis Center. In his spare time, he enjoys teaching his own children tennis.